Health & Educational Relief Organization 5K. 9:00am ET. Integration Statue on Woodward Plaza, Florida State University, Tallahassee, Florida. Event web page. Saint Teresa's School Nun Run 5K & One-Mile Fun Run. 8:30am ET. Saint Teresa's School, 417 Edgewood Lane, Albany, Georgia 31707. 2011 story. Online registration at active.com. 12th annual St. Andrew's Mardi Gras 5K. 8:00am CT. St Andrews Civic Club, 2629 West 10th Street, Panama City, Florida 32401. 2011 story. Event page on Facebook. Online registration at active.com. Joe Edgecombe, joeruns@yahoo.com or 850-774-0018 or 850-265-8439. Second annual Chattahoochee Smoochie 5K. 9:00am ET. Angus Gholson Nature Park, 400 Park Street, Chattahoocheee, Florida. 2011 story. Event web page. Course map at mapmyrun.com. Entry form and flyer. Edna Alford, eca0905@hotmail.com. Mardi Gras 5K Trail Run. 9:00 am CT. Westgate Park, 801 Recreation Road, Dothan, Alabama 36303. 2011 story. Event web page. Larry Dykes, drcprez@yahoo.com or 334-792-6021. Running of the Cats 5K. 8:00am ET. Valdosta Middle School, 110 Burton Avenue, Valdosta, Georgia 31602. Page on Facebook. Online registration at RunSignUp.com. Cody Moncrief 229-444-2019 or Jacob Crawford 229-560-3752. Williams Syndrome Family of Hope 5K and one-mile fun run. 8:30at ET. Tift County Recreation Department, 401 North Victory Drive, Tifton, Georgia. Event page on Facebook. 229-256-9545. Third annual Don't Run With Scissors 5K and one-mile fun run. 8:00am ET 5K / 9:00am ET one mile. Sallas Mahone Elementary School, 3686 Lake Laurie Drive, Valdosta, Georgia. 2011 story. Paul Brown, pbrown8@gmail.com or 229-333-8530. St Patrick's Day Pirate Prowl 5K. 8:00am CT. Picnic area, Three Rivers State Park, 7908 Three Rivers Road, Sneads, Florida 32460. 2011 story. Edna Alford, eca0905@hotmail.com. Gulf Winds Track Club's 37th annual Springtime 10K, Publix 5K & Target 1-Miler. 7:45am ET one-mile / 8:10am ET 10K and 5K. Leon County Courthouse, 301 S Monroe St, Tallahassee, FL 32301. 2011 story. 2010 story. 2009 story. Event web site. Entry form and flyer. Online registration at active.com. Judy Alexander, jalexander98@comcast.net or 850-383-1361. 4th annual Autism 5K and one-mile fun run. 8:30am ET one mile / 9:00am ET 5K. Southwood Town Center, 3196 Merchants Row Boulevard, Tallahassee, Florida. 2011 story. 2010 story. Entry form and flyer. Karen Robins, 850-488-4072. Gulf Winds Track Club's 38th annual Palace Saloon 5K. 8:00am ET. James Messer Fields Park, Jackson Bluff Road and Dupree Street, Tallahassee, FL 32304. USATF certified course FL99027DL. 2011 story. 2010 story. 2009 story. Event web site. Third annual Southern Scholarship Foundation Education for Life 5K. 3:30pm ET. Mike Long Track, Florida State University, Chieftain Way, Tallahassee, Florida. 2011 story. 2010 story. 850-222-3833. 2nd annual IMPACT 5K and one-mile fun run. 5:30pm ET. Tallahassee Community College, 444 Appleyard Drive, Tallahassee, Florida. 2011 story. April Dietz, April.Dietz@tlhoc.com. Marzuq Shrine's 9th annual Mothers Day 5K. 8:00 am ET. Maclay Gardens State Park, 3540 Thomasville Road, Tallahassee, Florida 32309. 2011 story. 2010 story. Keiff Lindsey, romanroch@hotmail.com or 850-212-2926. 30th annual Gulf Coast Triathlon (half ironman). 6:15am CT (first wave). Event web site. Online registration at active.com. gulfcoasttri@yahoo.com or 850-235-0720. 6th annual Run for Wakulla Springs 5K Trail Run and 1 Mile Fun Run. 8:00 am ET (one mile), 8:30 am ET (5K). Wakulla Springs State Park, 550 Wakulla Park Drive, Wakulla Springs, Florida 32327. 2011 story. 2010 story. Ron and Cynthia Christen, 850-926-7834 or 850-567-0500. 2nd annual Fight For Air 5K. Centerville Conservation Community, Tallahassee, Florida. 2011 story. USATF certified course FL11064EBM. Event seriesE web site. Entry form and flyer. Patty Ballantine, eventstallahassee@lungfla.org or 386-2065 x 1141. Gulf Winds Track Club's 31st annual Tallahassee Women's Distance Festival 5K. 8:00am ET. Optimist Park, East Indianhead Drive, Tallahassee, Florida. 2011 story. 2010 story. 2009 story. USATF certified course #FL00022DL. Event page on Facebook. Entry form and flyer. Lisa Unger, ungertl@juno.com or 850-562-2901. It was the second year in a row that a runner came down from Albany, Georgia to win Bainbridge's Kiwanis River Run 10K. On Saturday morning, 21 January 2012, Darton College frehsman Cody Mallchok ran 35:11 to win the eighth annual race, finishing just ahead of another Darton College distance runner, sophomore Heath Lamb. Tallahassee's Carl Nordhielm was the top master, third overall in 38:06. Valdosta State alumna Angelina Horne was the first female finisher, placing ninth overall in 45:33. The second woman finisher and fastest woman master was Tallahassee's Paula O'Neill, 12th in 47:24. The 10K and a concurrent 5K race started promptly at 9:00am in the park along the Flint River near Bainbridge's Earle May Boat Basin. Cody Mallchok took the lead in the 10K, trailed by Heath Lamb. Mallchok led through two kilometers, but Lamb closed the gap during the third kilometer. Running together, the two Darton College athletes passed the halfway mark in 17:45. Then at eight kilometers Mallchok pulled away again--this time for good. Mallchok crossed the line just over 50 meters ahead of Lamb, 35:11 to 35:22. In the women's competition, Angelina Horne led from the start. Paula O'Neill stayed within fifty meters through the first half of the race, but Horne widened the margin in the second half, ultimately winning by almost 400 meters. Darton College distance runners also set the pace in the shorter race, the 5K. First-year athletes Luis Navarro and Hank Campbell went to the front early, trailed by Bainbridge Grace Christian Academy runner Chase Harris. Campbell ran on Navarro's heels for two kilometers, but Navarro started to pull away on the third kilometer. Navarro continued to build a lead during the second half of the 5K, going on to win by about 50 meters in 17:20. Campbell had to be content with the runner up spot, clocking 17:31, while Harris was third in 18:21. Fourth place and the top master spot went to Bainbridge's Greg Waddell in 19:35. Bainbridge High cross-country runners Amber Braswell and Paige Braswell dominated the female competition, sharing the lead for almost the entire 5K. The two ran side by side for most of the race, but in the end it was Amber Braswell who took the women's title, placing 10th overall in 23:30. Paige was the women's division runner-up, coming home 12th in 23:40. 2011 story, "Jennings and Monk are the rapidest River Runners in Bainbridge"
It's possible that you'd have to go back to the time of the old Lincoln High School before you'd find distance running races taking place in Tallahassee's Frenchtown district. As a result of school desegregation Lincoln's doors were closed by 1970, and Lincoln athletics disappeared with the student body. 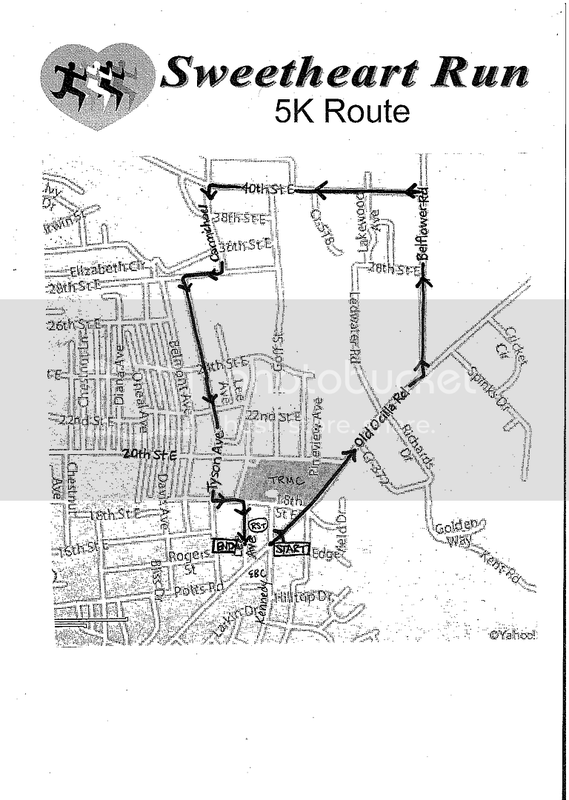 But distance running returned to Frenchtown on 21 January 2012, this time on the streets in the "Tour de Frenchtown" 5K. Early in the third mile of the race, the runners even ran past the old Lincoln High School building on Brevard Street at Macomb Street. Eric Godin led 75 athletes to the finish line, completing the race in 18:54, just over 100 meters ahead of runner up Paul Guyas. Guyas posted a 19:20 for the 3.1-mile race. Trent Mills placed third in 20:30, just ahead of top master finisher Bill McNulty, who was fourth in 20:43. Vicky Droze edged out eleven-year old Katherine Resavage for the top female spot, 22:44 to 22:46, the two placing 12th and 13th overall. The fastest woman master in the race was Karen Jumonville, at 23:32 the fifth woman finisher and 21st overall. Connor Stevens outtran his fellow Florida State University student Tyler Moriarty 17:53 to 18:02 to win the third annual FSU First Responders Unit 5K on Saturday morning, 21 January 2012. Stevens has only been running for about two years, picking up wins at campus races such as the 2010 Salmonole 5K during his brief career. Moriarty, on the other hand, is less than a year from sping 2011, when he completed his tour as a distance runner for Newsome High School in Lithia, Florida. Duane Evans was the fastest master runner in the race, finishing 6th overall in 20:28 and beating out FAMU philosophy professor Mike LaBossiere (8th, 20:50) for the honor. In the women's competition, Florida State University student Kate Harrison prevailed with a 22:53, finishing 300 meters ahead of female runner-up Sarah Purcell. Christine Gallagher was the first master woman, covering the course in 26:50. Without the support of the Florida State University First Responder Unit, no road races would take place on the FSU campus--or at least those races would be a lot less safe. The FRU provides emergency medical support at every campus event, where their distinctive vehicle is a regular site. They aren't just a token presence, either--the FRU's actions at the 2011 Tallahassee Marathon saved the life of a runner who had gone into cardiac arrest less than 200 meters from the finish line. The 67 athletes who finished the 2012 FRU 5K should be commended for their support of the event. You'd think that more runners would want to help out such an essential organization by participating. 2011 story, "Bulecza and Gerbers respond well to competition at FRU 5K"
2010 story, "Victory for Beggs, McMeekin at First Responders 5K"
Keep track of upcoming races in the Tallahassee region at Trouble Afoot! Adel, Georgia has a small bit of fame for the vultures of Reed Bingham State Park, hundreds of which visit each winter. But on 14 January 2012 the streets of Adel belonged to the eagle, the mascot of Community Christian Academy, in the first Soaring Eagle 5K. Valdosta's Masked Avenger was the race in 18:54, finishing 90 meters ahead of runner-up and top master Sean McConnell of Adel. McConnell's time for the race was 19:15. Kala Hobbs of Adel was the first female finisher, placing 13th overall in 26:45. "Some run more well than others at Adel Kiwanis Wellness 5K"
"Seppala and Thompson win at Adel"
3rd annual ABAC Fitness Festival 5K and one-mile fun run. 9:00am ET. Red Hills Tennis Complex, Abraham Baldwin Agricultural College, Perimeter Road, Tifton, Georgia. 2011 story. Entry form and flyer. Joe Wilson 229-392-6587, or Jimmy Ballenger 229-391-4939. Apple Classic 10K and 5K. 8:00am CT. Hammock Bay Club House, Great Hammock Bend, Freeport, FL. Entry form and flyer. Kitty Whitney, kitty@waltonareachamber.com or 850-267-0683.